I want to preface this article with a statement on Domestic Violence. Domestic Violence is a horrible crime. Domestic Violence is a serious issue that should not be taken lightly by any one at any time. What Ray Rice did is reprehensible. Domestic Violence is not limited to men abusing women, but in this case that is what happened. I believe that any offense, whether it be a first time offense or not, should be prosecuted to the full extent of the law. Any REAL man would NEVER, no matter what, hit a woman!!! This issue is prevalent not only in the NFL, but in society, and something needs to be done about it immediately. You know that book that they forced you to read back in high school? You know, the one you finished reading and then needed a translator to come and explain it to you. Yeah, that’s what it’s like trying to figure out the world of sports. For instance, this Ray Rice/Roger Goodell/NFL situation. This is a tough story to fully comprehend. This story has been part of the headlines for the better part of 7 months now, and even to this current day, it feels like we’re rats in a maze and we can’t find our way out. Doesn’t it?? No, just me? Okay, anyway, you’re in luck, because I am going to ‘translate’ this situation for you in plain English. Yes!! For those of you who don’t know by now and live under that proverbial rock, Ray Rice knocked his then fiancé unconscious in an elevator in The Revel Hotel and Casino in Atlantic City in February. Rice’s fiancé, Janay Palmer, then married Ray Rice so she couldn’t be forced to testify against her husband if this case ever landed in court. From there, Roger Goodell and the NFL decided to suspend Ray Rice for 2 games without pay for his actions, which were aired publicly for all the world to see, thanks to the video footage from just outside the elevator. Rice is seen dragging Palmer from the elevator before being confronted by hotel security. When the NFL brought about this 2 game suspension, the public was outraged. Not outraged the way they are now, but outraged that he would only receive a 2 game suspension for allegedly punching his fiancé in the face, while NFL players who are caught smoking marijuana are handed stiffer punishments. In the past few days, TMZ obtained and released the footage of the actual attack from inside the elevator. Again, for those of you who somehow haven’t seen the video, Rice is seen striking Palmer right in the face with his left fist. Palmer then knocks her head against the railing on the side of the elevator and falls to the ground unconscious. The footage is extremely difficult to watch and has sent the public into a frenzy. Rice was then suspended indefinitely, and his contract was terminated by the Baltimore Ravens. And finally, Roger Goodell is sticking with his initial response. He is claiming that he was unable to obtain the video footage from inside the elevator. Ray Rice is a bad guy, who did a very bad thing. Yes, there are good people who lose their cool and do something wrong, but that’s not what this is. Ray Rice, as seen in the infamous video, shows no remorse for his actions (as if he has done this before) as he knocks his fiancé unconscious and then continues to drag her along the floor. His actions are despicable, and he belongs in jail. Rice’s fiancé is obviously a money hungry, idiot, who looks in the mirror and sees a pile of garbage. No self respecting human being would go crawling back to a low life like Ray Rice just for the money. As for Roger Goodell and the NFL, they are idiots too. Now, this situation could have gone down a few different ways. Either Goodell saw the video from inside the elevator and then decided to give Rice only a 2 game suspension or he actively tried not to see the video hoping that he wouldn’t have to deal with the ugly truth of the situation. Which is worse? Now, I know some of you naïve, born yesterday, suckers believe every word that comes out of a person’s mouth, but trust me, Roger Goodell and the NFL could have seen that video the day after it happened. With the power the NFL possesses, you have to be the dumbest person in the world to believe Goodell’s line about not being able to obtain the video or even knowing that such a tape existed. HELLOOOOOOOO, this happened in a casino, you know a place where every inch of every room is covered by security cameras. Roger Goodell lied to you. Numerous times. My favorite part of all this is the public’s reaction to this situation. People act as if Ray Rice is the first person to ever hit a woman. They act like this hasn’t been a serious problem since the dawn of time. They also act like they’re surprised that the all mighty NFL shield could be corrupt. 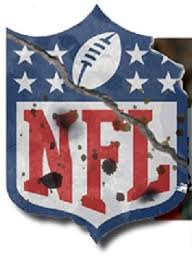 News Flash: The NFL has been corrupt forever, just like the NCAA. This shouldn’t be breaking news to anyone. Also, I love how the punishment and the reaction changed once we saw the video. Did anything change between the release of the 1st video and the 2nd? Nope. We all knew that Ray Rice punched his fiancé in the face and dragged her out of that elevator. Sure, the severity of what we saw on the tape could have varied, but the reaction to the 2nd tape should have been the reaction the entire time. The Ravens organization and the NFL really showed their incompetence throughout this entire ordeal. And now, we must wait for more of this story to unfold. In the coming days I’m sure we’ll find out that Goodell saw the video from day one, and was dumb enough to think that it wouldn’t get out. But for now, I guess we all have to stay tuned. Next ›NBA Talk Coming Soon…. Hey Mister Dave Talks Sports! I agree 100% ( notice that is 100% not more than 100% like some other big fat bloated idiots say “nowadays”) that no man should ever lay a finger on a woman or anyone else for that matter. What I object to is your condescending attitude toward the reader. Why or why do you think that anyone living under a rock gives a rat’s _ _ _ about Ray RIce or anyone else for that matter?????!!!!!!????? Of course there is corruption in sports anyone naive to believe otherwise is just plain stupid. For some reason men or women who happen to have been lucky enough to be drafted onto a professional sports team and make tons and tons of dinero ($$$$$$) think that they should have the right to act in any manner they so choose and not be held accountable for their actions. They are only human like the rest of us who actually have to go to work and not just play games and should be treated as such. Laws are laws and just cuz you’s got big bucks don’t mean you should get away with murder, abuse or whatever….. Thanks man. Peace out. Gotta go hit the pavement to drive to work to make some $ so maybe I can keep on keep’ on!